Come see our full line of Rmondo’s electric pedal-assist bicycles. Rmondo crafted these bicycles with both novice and intermediate riders in mind. They come with hand selected components that pair quality and craftsmanship with an affordable price tag that helps lower the bar of entry into the electric bicycle arena. Shimano 6 speed, Steel frame, V-brakes, 250w rear hub motor, and 36v 8.8Ah li-ion battery with front and back LED lights. Shimano 7 speed, aluminum frame, disc brakes, 350w rear hub motor, and 36v 10.5Ah li-ion battery with front and back LED lights. Shimano 6 speed, Steel frame, front V-brakes & rear servo brake, 250w rear hub motor, and 36v 10Ah li-ion battery, front and back LED lights. Shimano 7 speed, aluminum frame, disc brakes, 500w rear hub motor, and 48v 8Ah li-ion battery with front LED lights. Single speed, aluminum frame, V-brakes, 250w front hub motor, and 36v 10.5Ah li-ion battery with front and back LED lights. 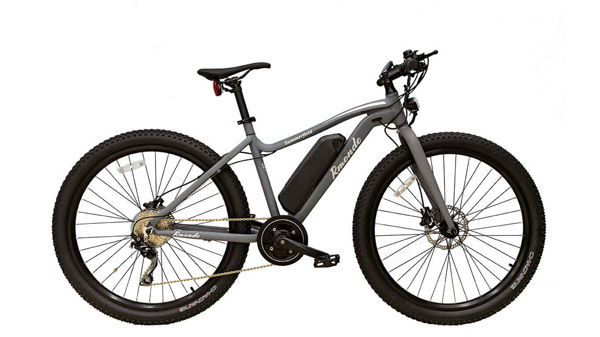 Shimano 10 speed, aluminum frame, front suspension, disc brakes, 500w rear hub motor, and 48v 11.4Ah li-ion battery with front and back LED lights. Shimano 10 speed, aluminum frame, disc brakes, 350w mid-drive motor, and 48v 11Ah li-ion battery with front and back LED lights. Shimano 7 speed, aluminum frame, disc brakes, 350w rear hub motor, and 36v 10.2Ah li-ion battery with front and back LED lights. Be sure to check out the rest of our ebike lineup.